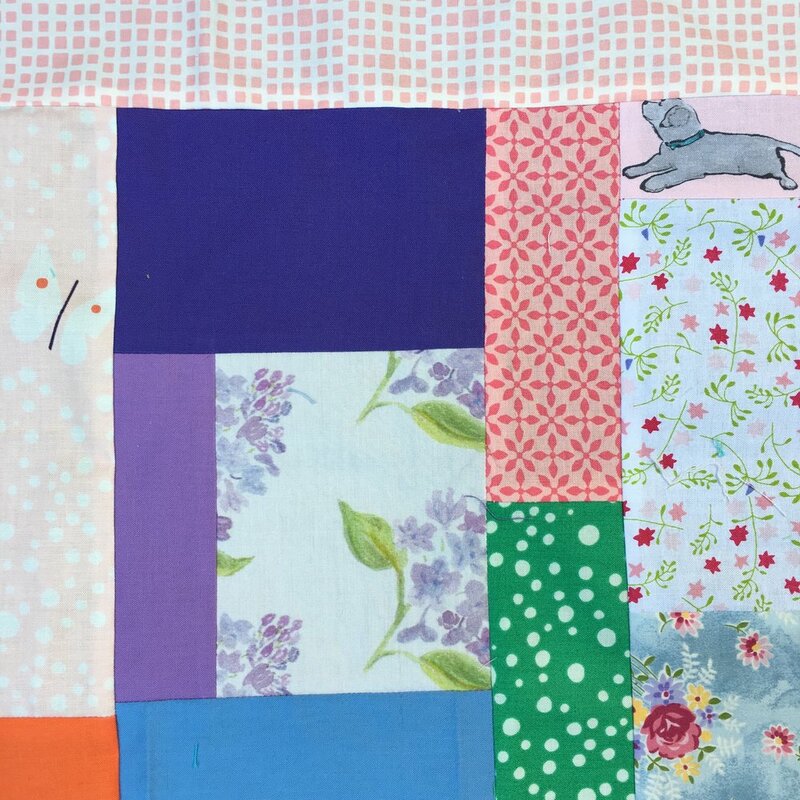 Here is a gallery of the June, July and August blocks for my year long Improv Scrappy Block Project. 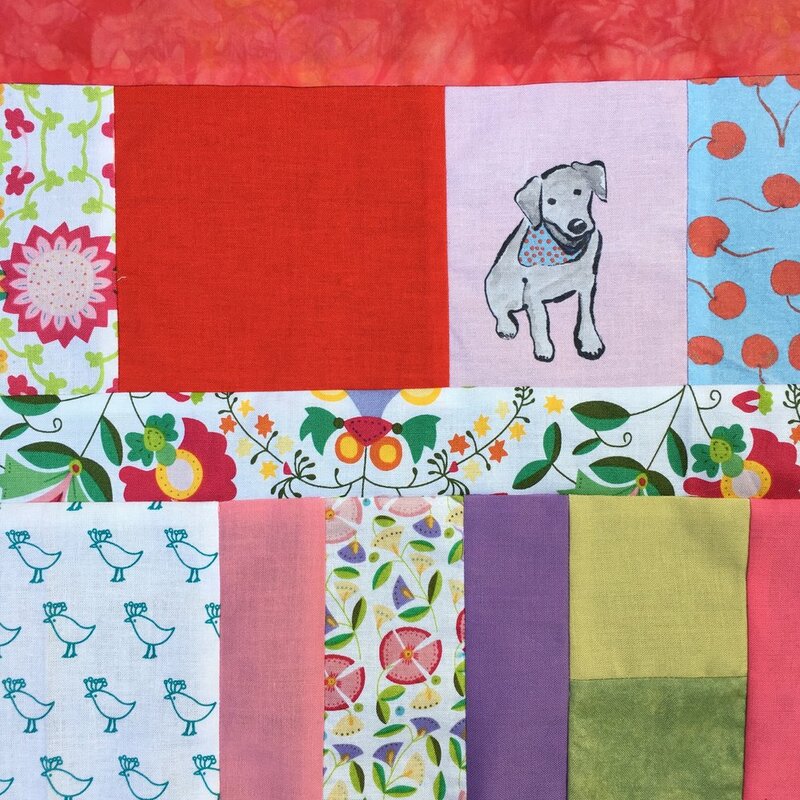 I think I'm going to call the finished quilt, "Improv, Gone to the Dogs!" Many of the blocks from previous months have a white patches. Somehow none of these summer blocks do! It's clearly the season of high color!